• Best Mecha/Armor - all cosplayers who are cosplaying a Mecha character or those whose costumes are 60% composed of armor. • Best Chibi – all cosplayers aged 13 and below. 3. All pre-registered cosplayers are required to confirm at the venue from 10:00am to 12:30am. 4. All pre-registered cosplayers must submit a reference picture of their character upon registration. Fan-art or any unofficial depiction of the character is not allowed. 5. Each cosplayer will be given up to 2 minutes to perform. 6. Individual cosplayers can use human props and there is no limit to the number of human props as long as their performance will not exceed 2 minutes. A 10 point deduction will be made for every minute in excess. There will be a timekeeper assigned at the event to monitor this. 7. Acceptance is on a FIRST COME FIRST SERVED basis. 8. Winners will be announced at the end of the event. 2. Cosplayed characters must come from any anime, manga, comics, game or movie. Original characters are not allowed. 3. 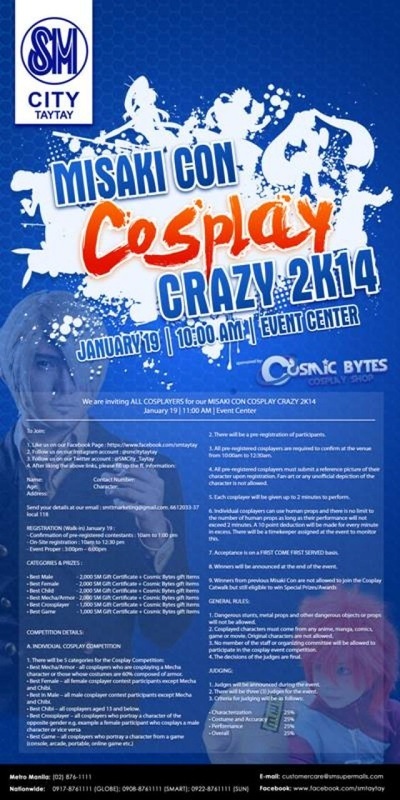 No member of the staff or organizing committee will be allowed to participate in the cosplay event competition. 4. The decisions of the judges are final. Comic book exhibits, merchandise, display booths, forums with guest artists, PLUS THE ANNUAL COSPLAY COMPETITION! Event is open for everyone! 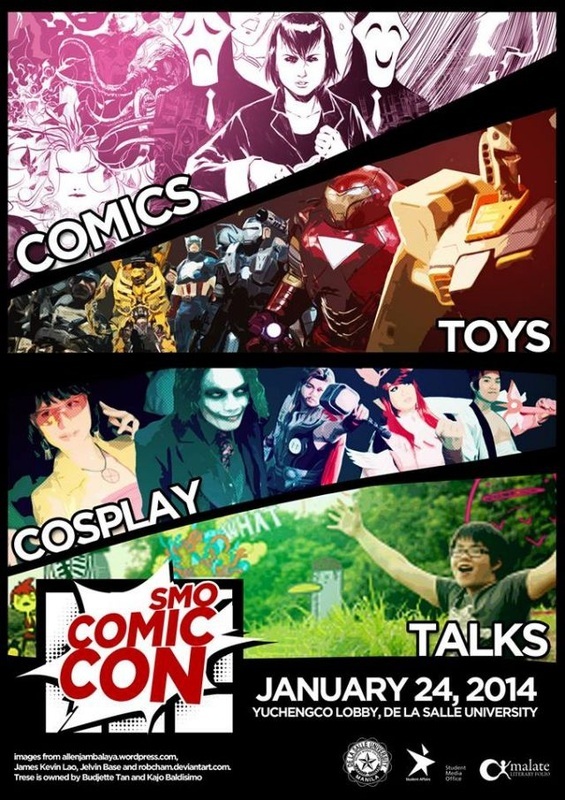 This will be held on 24 January 2014 (Friday) at the Yuchengco Lobby, DLSU.Comic book exhibits, merchandise, display booths, forums with guest artists, PLUS THE ANNUAL COSPLAY COMPETITION! Event is open for everyone! This will be held on 24 January 2014 (Friday) at the Yuchengco Lobby, DLSU. 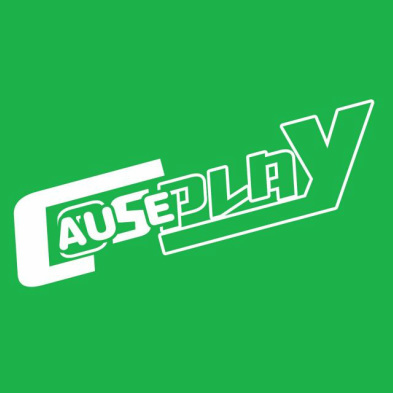 CAUSEPLAY is a gathering of modern visual culture enthusiasts for various competitions and performances, with cosplaying as its highlight. Held as the Closing Ceremonies of the 18th National Autism Consciousness Week, themed “Katuparan ng mga Karapatan ng Pilipinong may Autismo… Isulong Mo! Ngayon Na,” this event aims to gather people on the autism spectrum, together with other modern visual culture enthusiasts of diverse abilities, for a series of competitions and performances to express their interests in the genres of their choice through cosplay and the performing arts, while demonstrating an effort to make rights real for Filipinos with autism and other disabilities by promoting an inclusive and disability-friendly cosplay community. Philippine Collectors United by Passion unleashing the Hero within because we believe that Heroes Are Us! As Pilot Event we will be Officially Starting our TOY DRIVE for our Give A Gift Advocacy during Christmas Season. 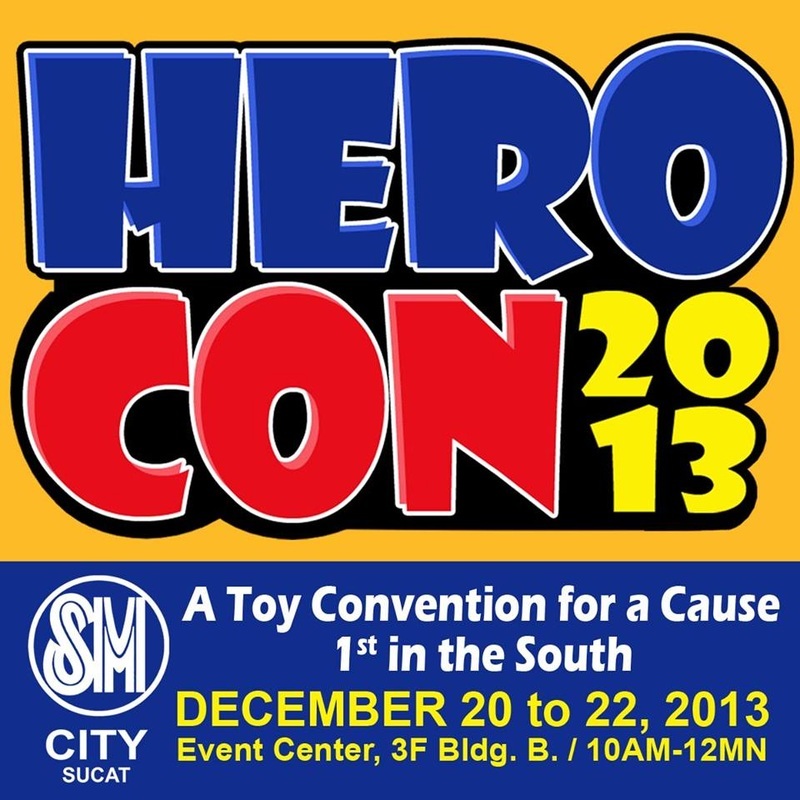 It is the First Charity Toy Convention in the South of Metro Manila. It aims to encourage and unite Collectors alike and share their blessing to the poor while enjoying their hobby. Reminding everyone why they got into collecting in the first place? It is because it's a fad, a status quo, a means to re-kindle your childhood or and urge from peers? Whatever it maybe it all falls down to enjoying your hobby. These characters are our role-models and had significance in our childhood - Saturday morning cartoons have been a part of every collector's life, it's what inspired us. We have been at a time one of those asking our parents for our most wanted toy or would profoundly look and stare at a shelve of a toy store dreaming when can we have our own. HEROCON aims to grant simple wishes that are significant to children - TOYS that is returned with a smile so genuine is speaks without uttering a word. HEROCON is not just an event we want to push through, a milestone and an effort to give back to God the blessings we have. So support HEROCON and be a HERO... donate TOYS, BOOKS and/or School Supplies and be that ICON that gave a child that smile.